It is hard to convict a person of breaking and entering unless the person is caught in the act, of course. Because of this fact, it is often possible to put up a strong defense in court by hiring a shrewd lawyer. A good lawyer will know how to downplay any evidence against you in court and may even allow you to avoid a conviction altogether. Call Attorney Adam Burke now for your free consultation at (614) 280-9122. Breaking and entering is considered a serious crime in Ohio. Because it is considered to comprise of both criminal trespass and potential felony theft, breaking and entering attracts proportionally severe penalties under Ohio law. If you have been charged with breaking and entering in Columbus or any of the surrounding areas in Ohio, you need an attorney who is experienced and qualified to help you come up the best possible defense. An attorney will discuss the facts of your case with you and help you understand your situation. 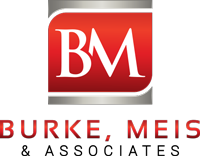 Contact Attorney Adam Burke of Burke, Meis & Associates now at (614) 280-9122 for your free consultation.